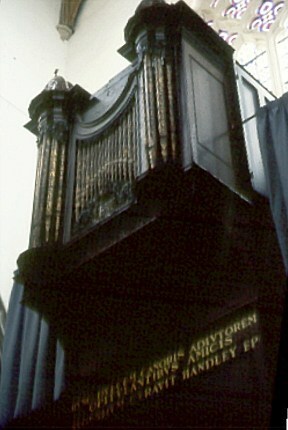 The small organ in the private chapel at Auckland Castle was built by the King’s organ-maker, Bernard ("Father") Smith in 1688 for Nathaniel, Lord Crewe, the then Bishop of Durham, two years after Smith had completed a much larger prestigious instrument on the screen in Durham Cathedral. 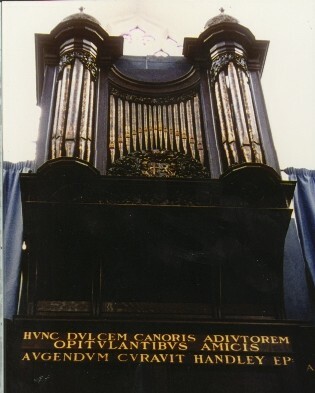 The Bishop’s organ was built with a single keyboard and contained six complete stops (8.8.4.22/ 3.2.II) within a fine and dignified carved oak case. 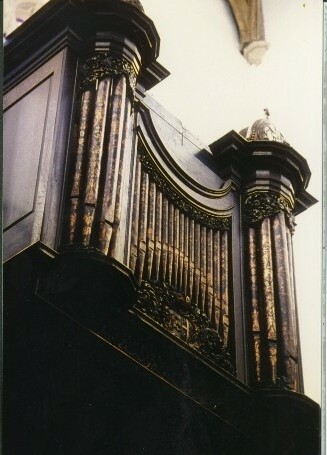 This organ was always sited in its present west-end gallery position, but formerly had the console to the rear. J.Snetzler added a "swelling" Hautboy reed stop, extended the compass and undertook repairs in 1766. 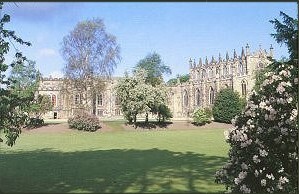 J.Donaldson (1793), J.Avery (1802), Wm.Gray (1811), and A.Buckingham (1818) worked on it subsequently. At some stage later a Flute (presumably 4ft) was substituted for the Cornet/Sesquialtera, and another reed stop and Pedals were added. 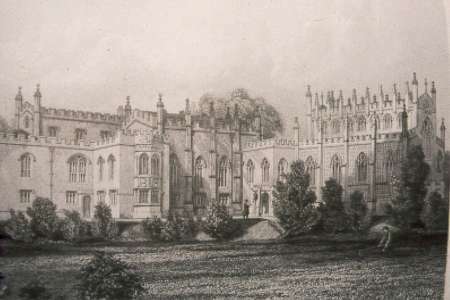 By the end of the century however it was in a ruinous state and Arthur Harrison was called in to advise, Harrison & Harrison of Durham then being contracted to rebuild it in 1903. The five surviving Smith ranks, reversed colour keyboard, ebony stop knobs, part of the bellows and the case front were retained. Letters tell us that "The tone and character of the present pipes [are] to be carefully preserved and retained", though the compass was standardised and the old bass pipes removed (presumed lost) in the process. The rest was new. 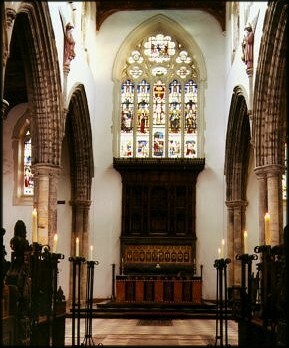 To accommodate a greater quantity of instrument the case was raised on coving, the interior layout re-orientated and the console repositioned on the north side. A new metal Open was added to the Smith stops as the Great, and a "romantic" Swell division of five stops voiced "to blend PERFECTLY with the old" added on a second manual. The work cost £300.